Looking for work with meaning? Every day we help people achieve their dreams. At NeighborWorks Home Partners, we believe that creating and supporting successful homeownership revitalizes the neighborhoods where we live and work. We help people become homeowners, repair the homes they live in, and protect homes from foreclosure. Our work has the potential to impact a family and a community’s well-being immediately, and for generations to come. We look for team members who want to engage with their communities in work that has meaning, as part of a collaborative and creative work environment focused on quality, innovation, and service. We are looking for candidates who want to engage with the community, learn about nonprofit operations, and develop their writing and/or photography skills to help more people access our homebuyer education and home improvement resources. If you love to help others, want to make a positive difference in your community, and are eager to learn new skills, NeighborWorks Home Partners is interested in talking to you about our new Homeownership Assistant position. This role is the primary point of contact for new customers entering our organization. 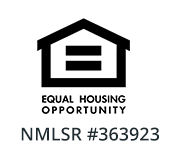 Day-to-day, this role manages scheduling, document collection and supports the NWHP educational and homeownership advising.